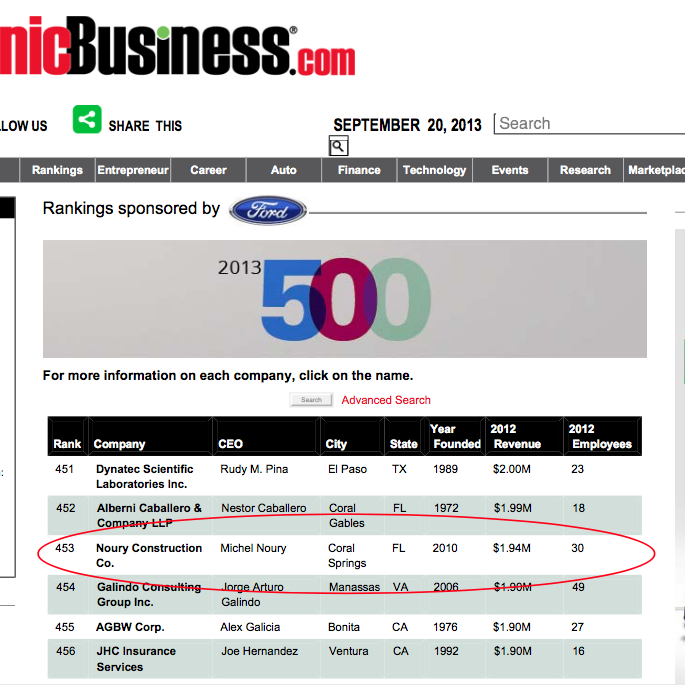 Specialized in the Southeastern Florida market. Building public schools, recreational facilities, airports, shopping centers, parking garages and governmental buildings. Each project is analyzed independently and is given value engineering when possible. 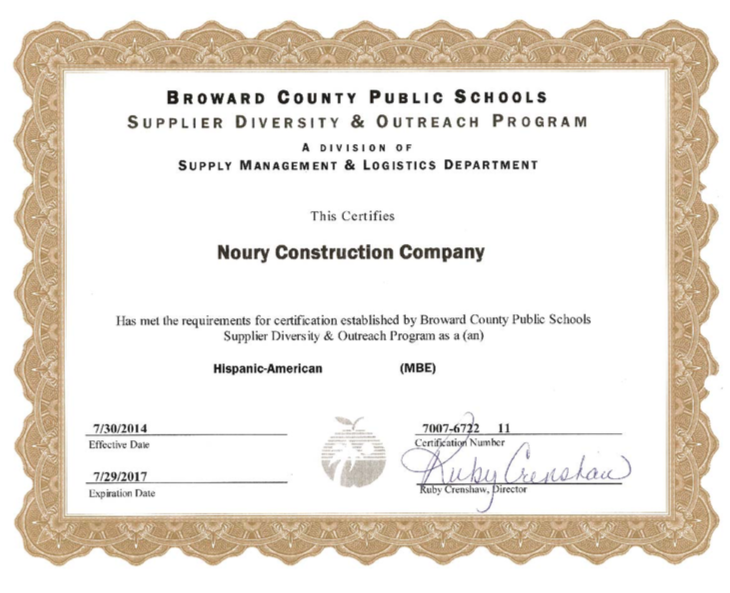 Our goal is to be part of a winning team, completing projects on budget and on schedule. 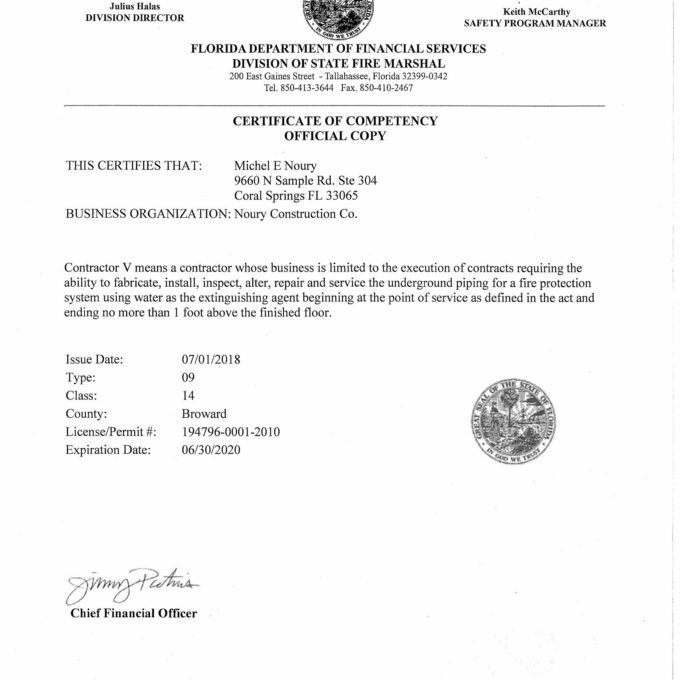 We are proud of our work and stand behind the quality of it. 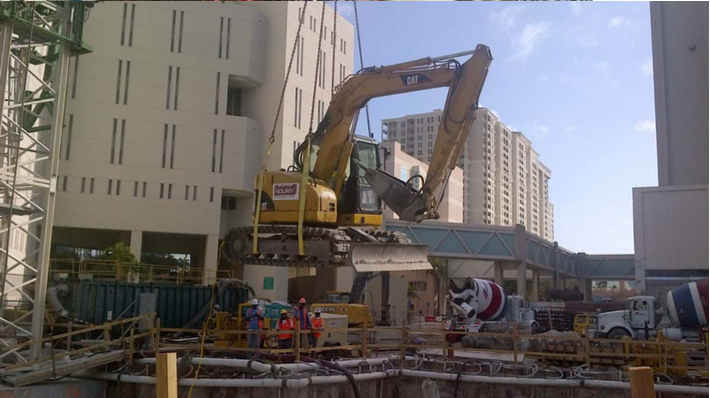 Specialize in midsize civil infrastructure projects. 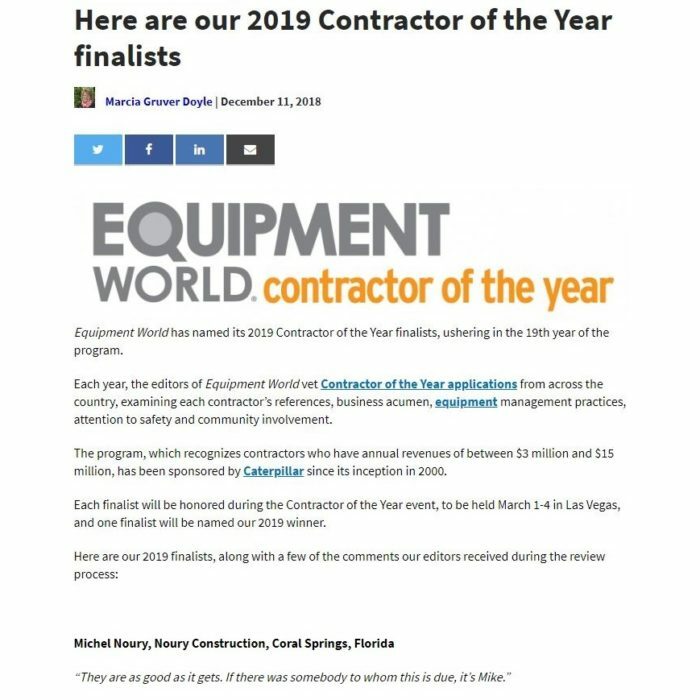 Working with public and private owners offering our experience in value engineering the project to fit their needs and optimizing time and cost. 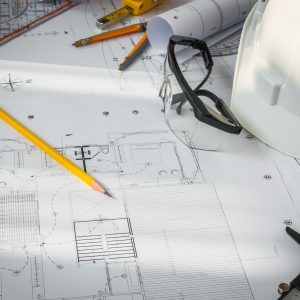 Work with selected General Building Contractors to offer a complete utility package including Storm Drainage, Sanitary Sewer, Sanitary Force Mains, Lift Stations, Domestic Water System, and Underground Fire (Class V Fire License). 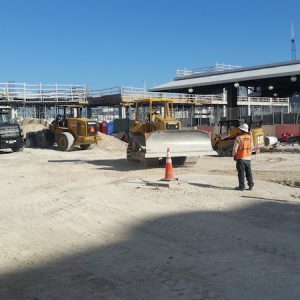 Work with selected General Building Contractors to offer a complete site package: Clearing & Grubbing, Demolition, Earthwork, and Paving System. 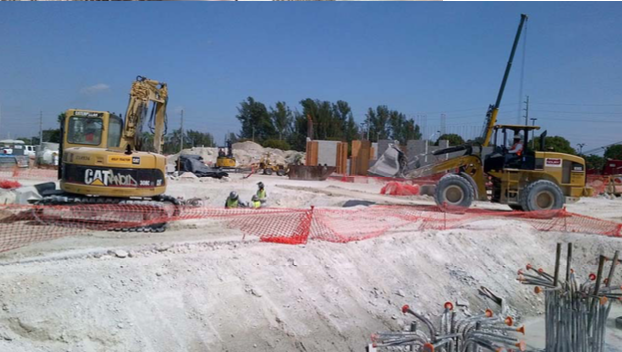 Work with selected General Building Contractors and Concrete Foundation Contractors to offer our expertize of excavation and backfill to enhance building time. 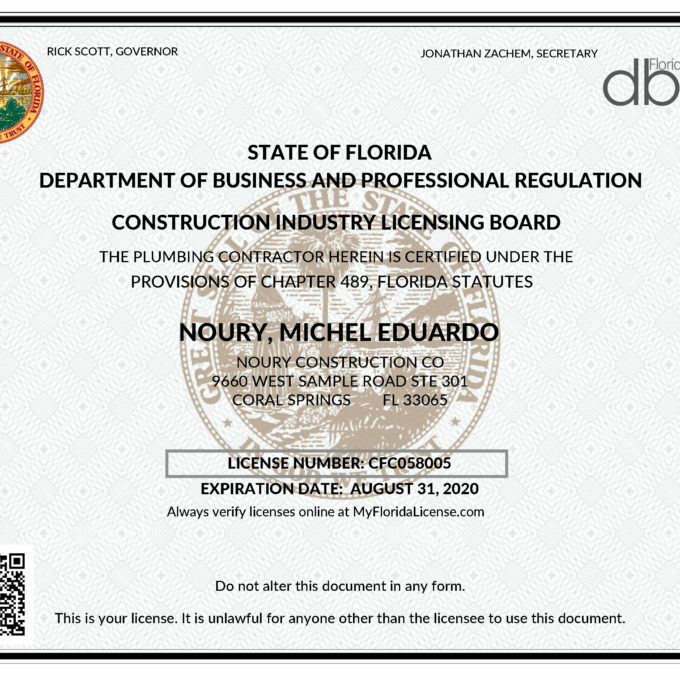 My passion in the construction industry in South Florida has prompted me to create Noury Construction Co. and to service owner and general contractors alike to continue to build a safe South Florida. I pledge to serve my customers with the same commitment, loyalty, and dedication that I have done in the past. 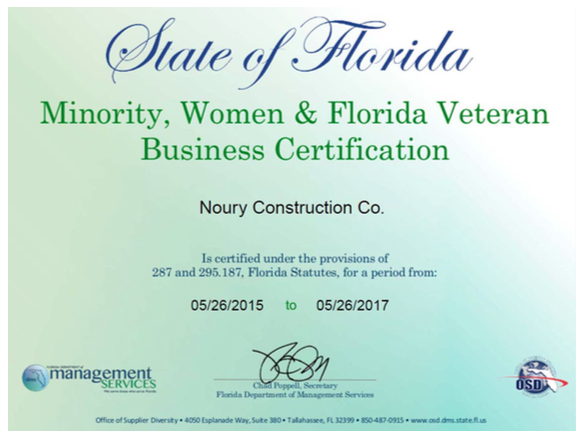 Noury Construction Co. was registered with the Secretary of State in Florida on May 10, 2010. 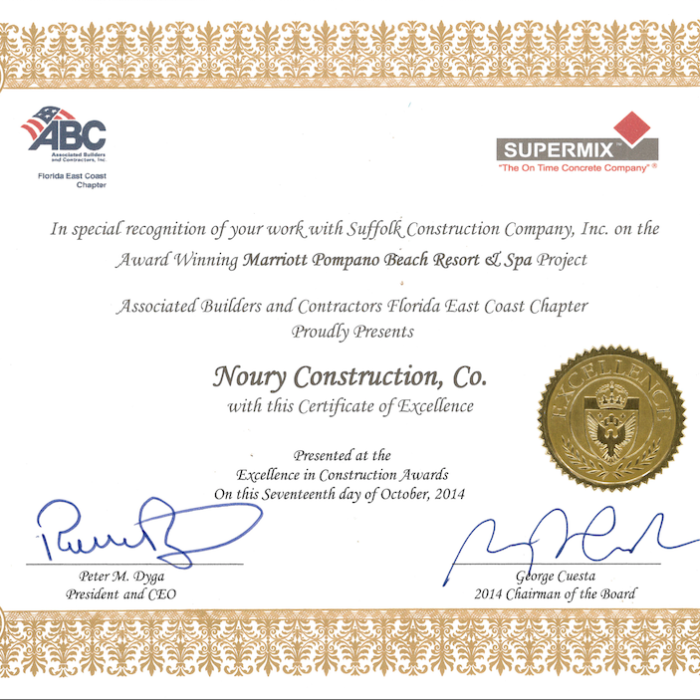 Noury Construction Co. is a General Contractor specializing in the Civil Infrastructure Work (division 2). 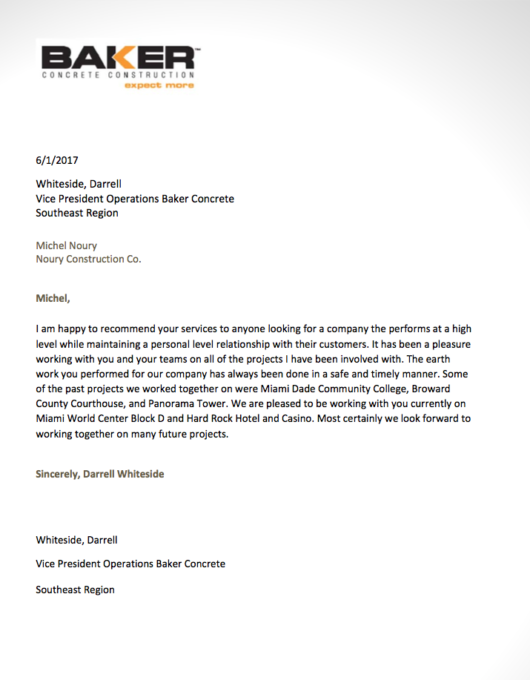 Will perform work as a Prime Contractor in direct relationship with owners and as a Subcontractor for selected General Contractors. 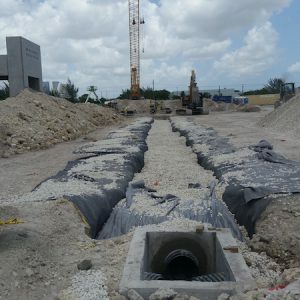 We perform complete Site development, Demolition, Clearing and grubbing, Earthwork, Underground Utilities, Drainage System, Sanitary Sewer System, Water System, Fire Mains (covered under Fire Marshal Class V License), and Paving System. 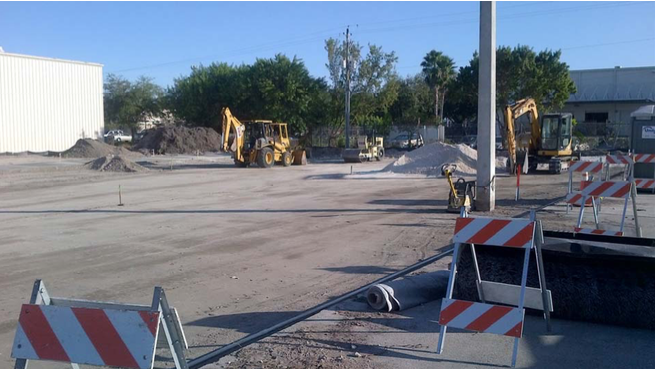 Structural excavation, clearing grubbing, demolition, utilities, earthwork, paving, and concrete work. 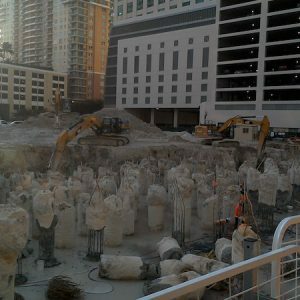 Structural excavation and backfill, utilities, earthwork, paving and concrete work. 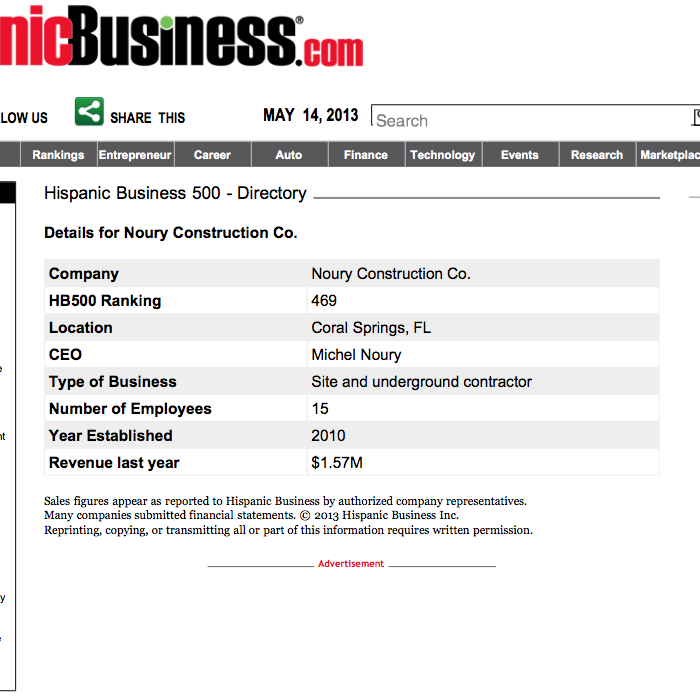 Clearing grubbing, demolition, utilities, earthwork, paving, and concrete work. Our experience is derived from servicing the southeastern Florida market for over 20 years, specializing in building public schools, recreational facilities, airports, shopping centers, park- ing garages and governmental buildings. 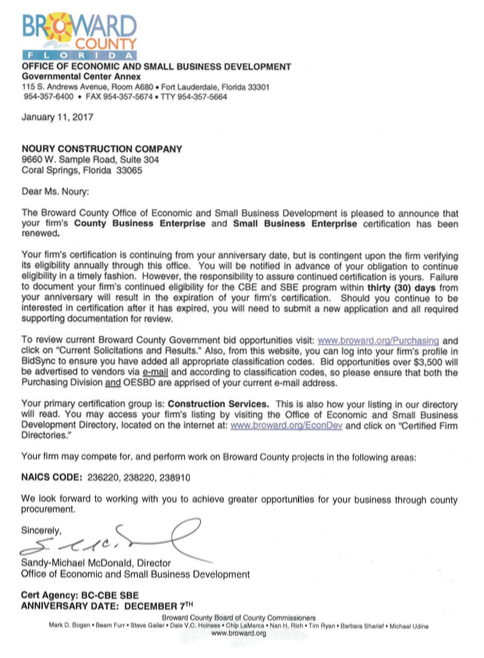 We have been successful in meeting the stringiest requirements in both the public and private sectors of this industry. Our commitment to our customers is to build every project with the right materials and workmanship. To provide with an infrastructure that will yield many years of service. 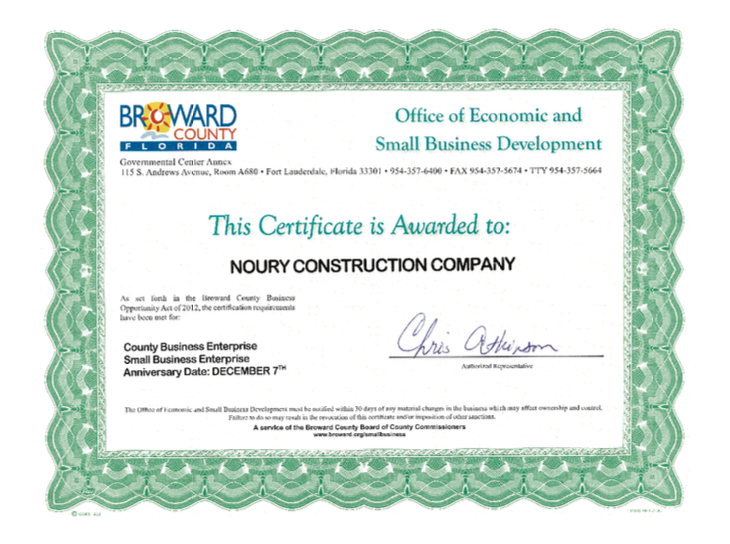 We strive to be the best in our field, treating owners, fellow contractors, inspectors with respect and courtesy. Never-ending search of equipment and materials that will improve the time and cost of our projects. 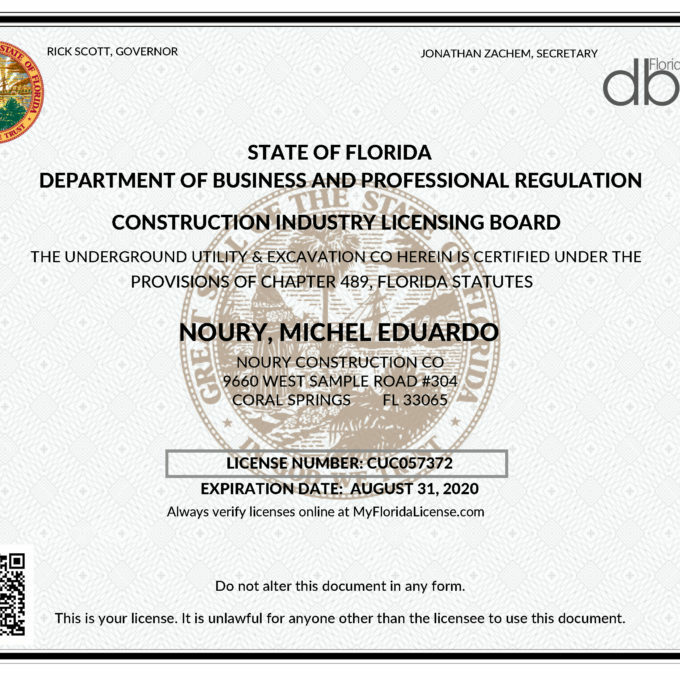 SAFELY BUILDING SOUTH FLORIDA. Safety is our culture and our employees are our best assets. 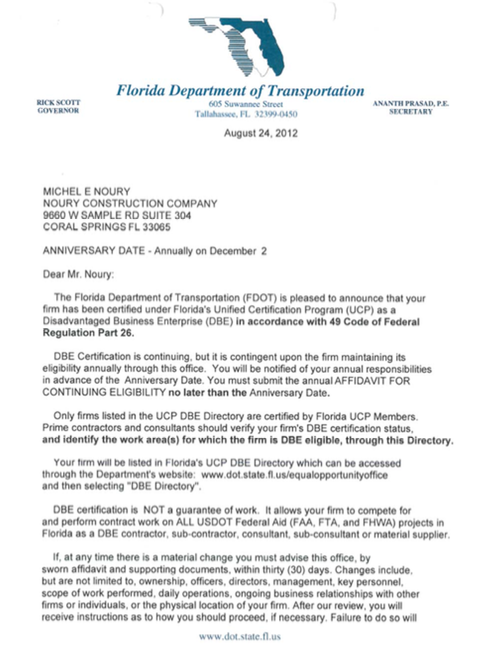 We take great efforts in providing a safe environment for our employees, fellow contractors and the public.